With limited access, it can literally be hard to ‘see’ visitors to our expansive natural areas. Presenters will discuss tools we use to get a sense of how often the park is visited and how it is being used. We’ll also touch on creative partnerships opportunities, volunteer strategies, and resources that can be leveraged to improve your organizations existing efforts and increase community connections. These are tools parks managers can use to creatively solve problems and improve future plans. 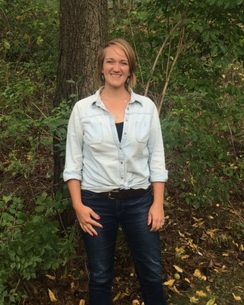 Allison Krueger works for Washtenaw County managing the stewardship of natural areas in parks and preserves. In this role she directs field work, supports volunteers and outreach, manages restoration projects, and designs amenities for public exploration. She earned a Bachelor of Science in Botany and Plant Pathology from Michigan State University and a Masters of Landscape Architecture from the University of Michigan. After a childhood spent playing in the fields and forest of Southeast Michigan, I attended Ferris State University and studied Recreation Management with an emphasis in Outdoor and Environmental Education. In 2012 I was honored to be hired as the Volunteer and Outreach Coordinator for the City of Ann Arbor Natural Area Preservation. 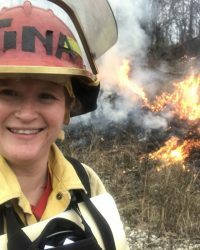 Working at NAP I get to express my love for Michigan, and use my talents and training to inspire in others a love of nature through volunteer efforts!